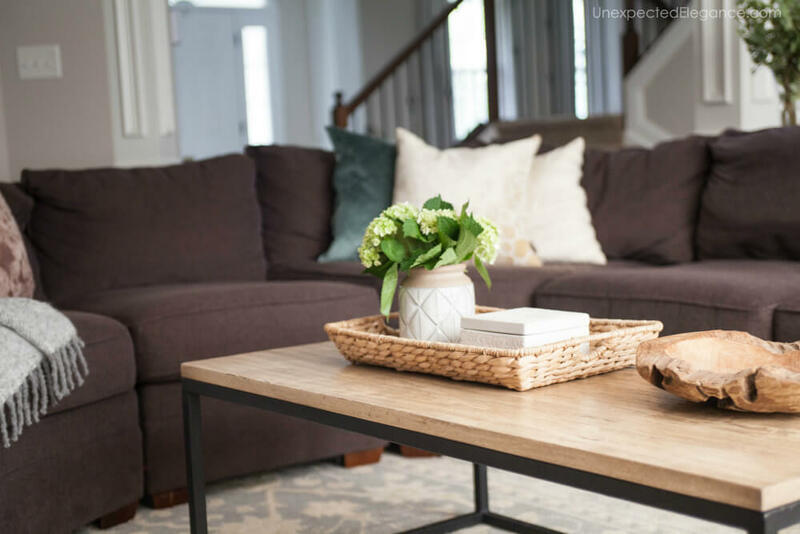 Check out this client’s living room transformation using sectional sofa placement to make the biggest impact. 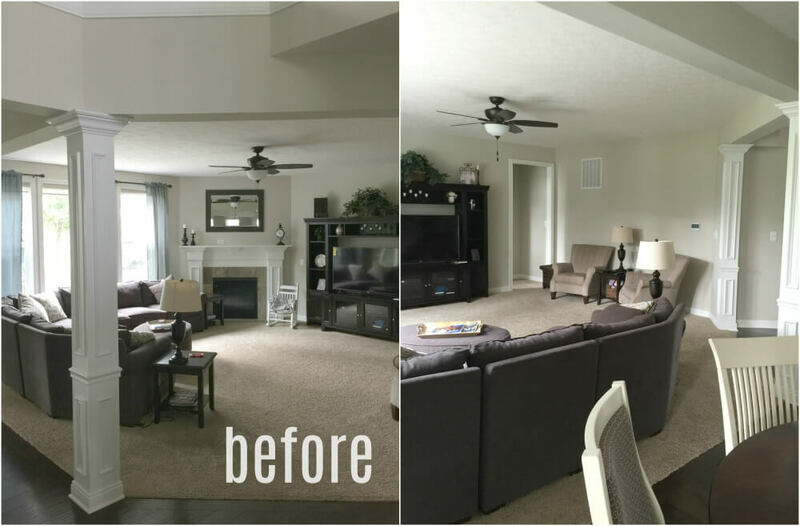 I know most of you like a good transformation, so I thought I would share one of my client’s living room makeovers with you. 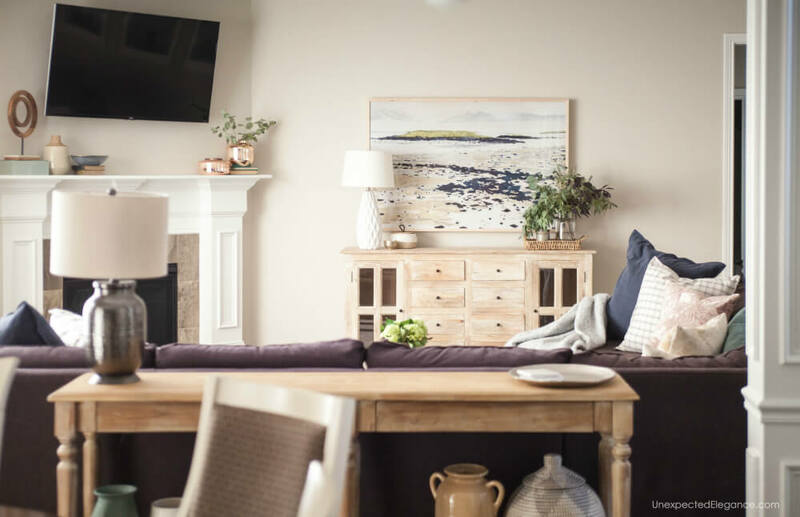 It’s amazing how just changing up the position of the furniture can have such a big impact. The sofa was up against the windows and there was a large open area in the center. The entertainment center was brought from their previous home and they didn’t love it so we switched it out for something a little more stylish. 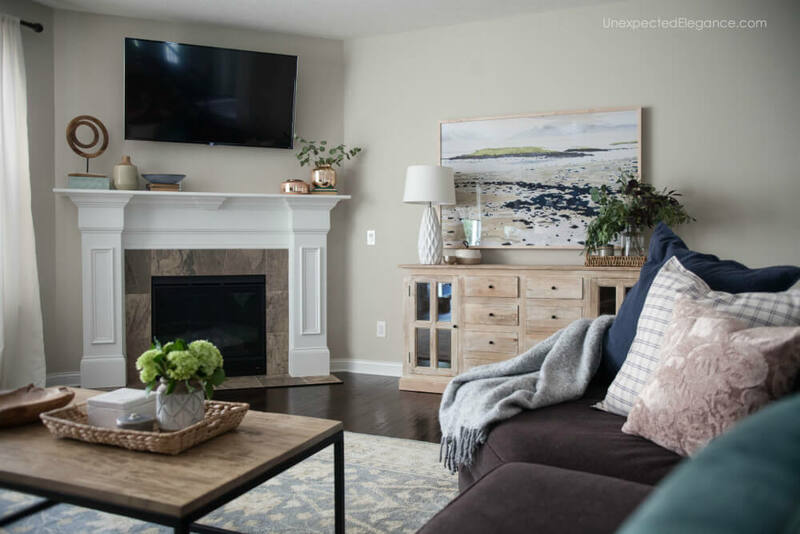 They had just bought the sectional, so it, the fan, and the TV was all that needed to stay. We started by moving the sofa to the center of the room to face the fireplace. Then the client had the TV mounted above it and the hardwood floor extended into the living room. 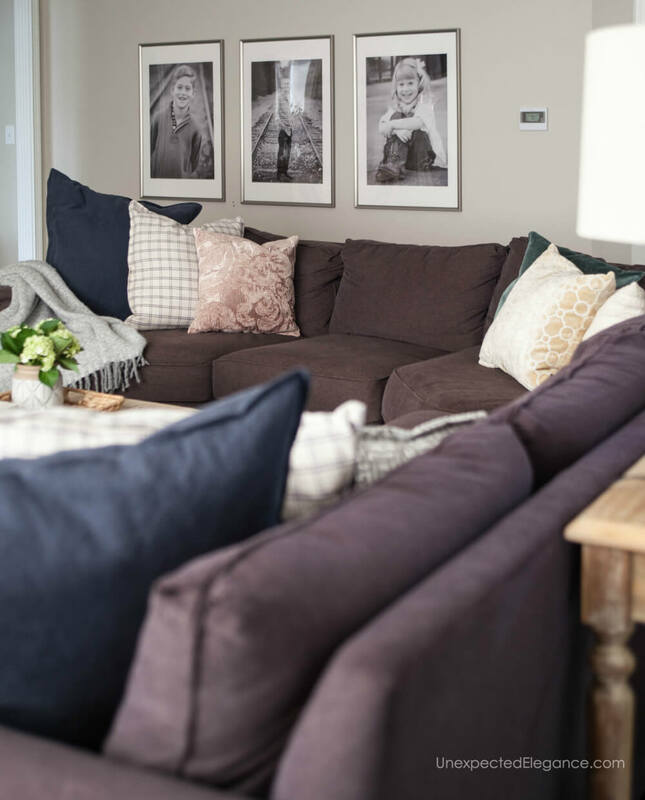 Just by moving the couch, the room instantly felt more cozy and welcoming. A new cabinet to hold their extra electronic and DVDs was the perfect place to add some lighting and artwork. The wall behind the sofa we hung prints of their kids. This is an easy way to add a big impact to a bare wall without spending a lot of money. 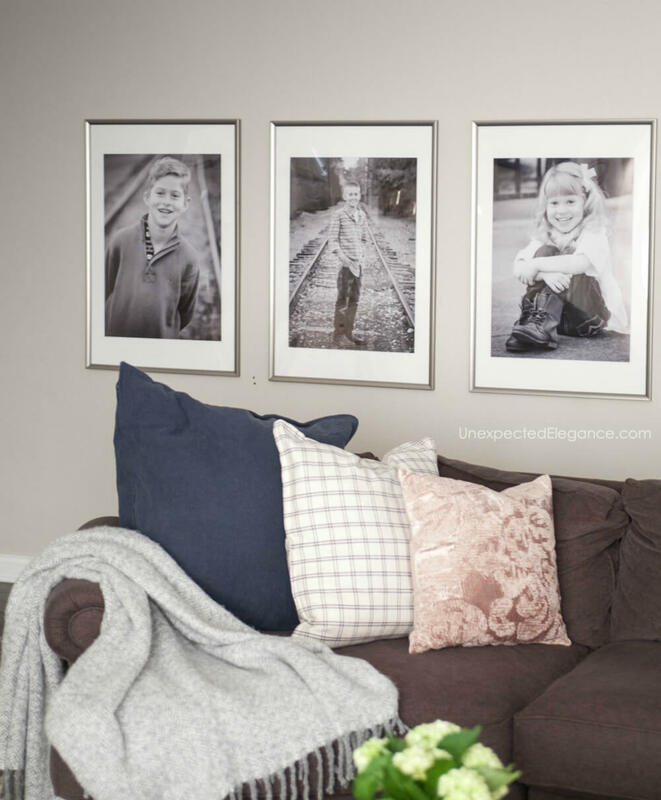 The frames were from Ikea and we had the photos printed at a copy shop…all for less than $100! We pulled colors from the large artwork for the pillows and rug. 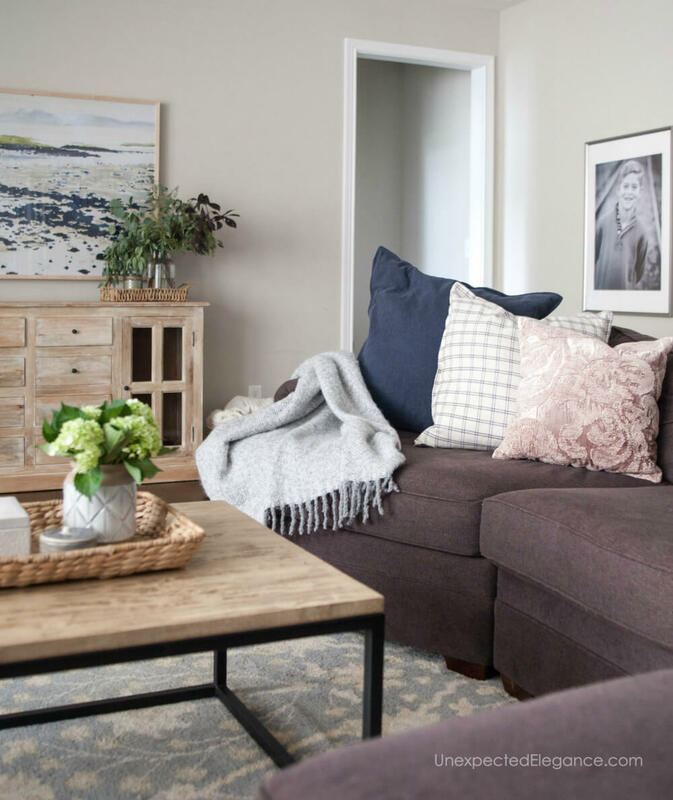 Don’t think you have to have everything too “matchy.” Having things in a similar color palette but with patterns is a great way to add interest. The rug is hand-knotted, wool from Ecarpetgallery.com. 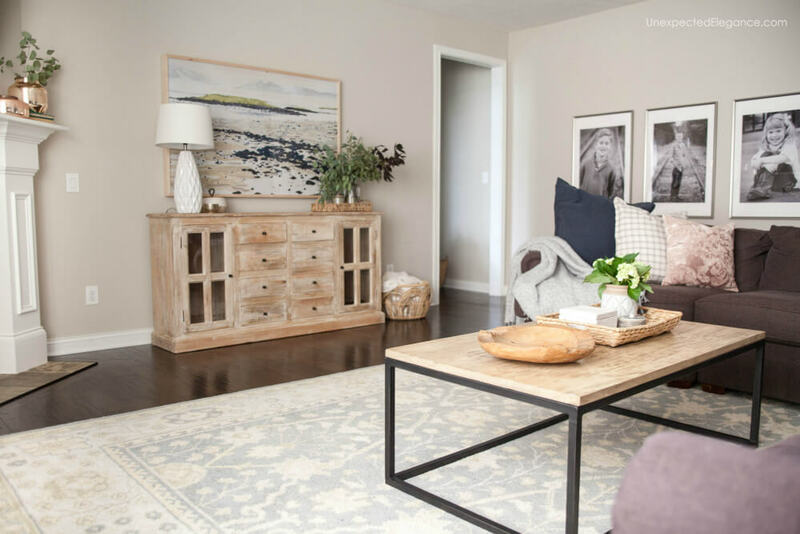 If you’ve read my blog for long then you probably already know it’s my favorite rug resource. I’ve bought quite a few from their site over the years. They are offering my readers a 20% discount if you use this link or coupon code: ECGANGELBLOG. They love how it turned out and so do I. It’s now a great space for them to hang out with their family and friends! 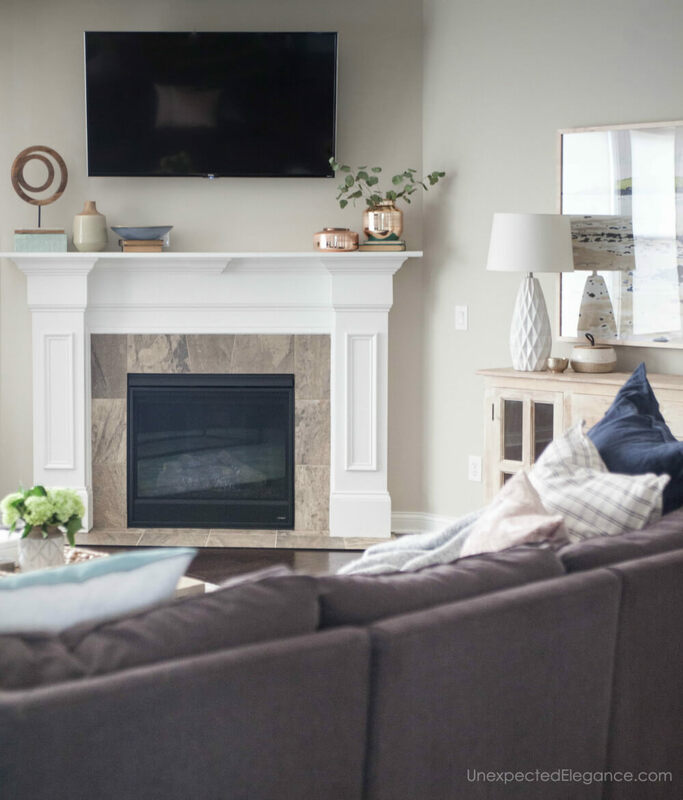 For more room transformations, check out these MAKEOVER POSTS!